Remember those iconic scenes in Star Wars when the Millennium Falcon made the jump to hyperspace? 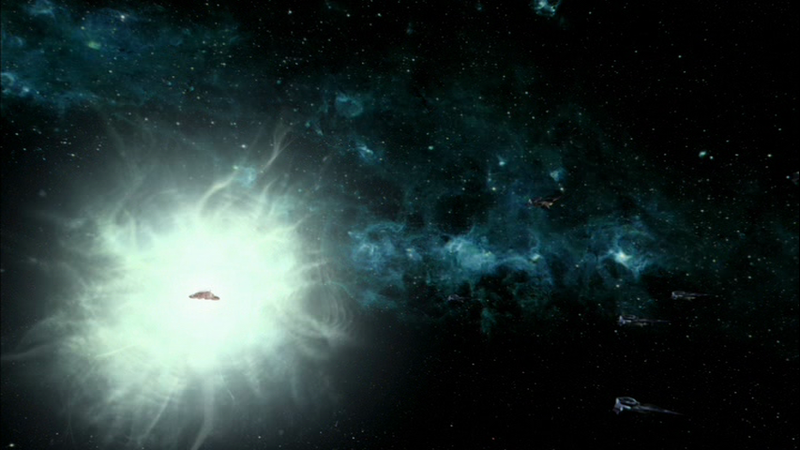 Remember how cool it looked when the star field stretched out and then the ships blasted off? And of course, every episode of Star Trek was punctuated by a jump to warp, where once again, the background stars seemed to stretch out and then hurl on past the Enterprise. Yes, for generations, this is how people envisioned Faster-Than-Light travel. Whether it consisted of rainbow-colored streaks shooting past, or a quick distortion followed by a long, blue tunnel of bright light, these perceptions have become a staple of science fiction. But one has to wonder… in a universe where FTL was really possible, would it really look anything like this? Using Einstein’s Theory of Relativity, four students from the University of Leicester produced a paper in January of last year where they theorized what a jump to light-speed would really look like. Based on the theory that the speed of light is the absolute threshold at which elementary particles can move in this universe, the four students – Riley Connors, Katie Dexter, Joshua Argyle, and Cameron Scoular – claimed that a ship that can exceed c would have an interesting view. In short, they claim that the crew wouldn’t see star lines stretching out past the ship during the jump to hyperspace, but would actually see a central disc of bright light. This is due to the Doppler effect, specifically the Doppler blue shift, that results in the wavelength of electromagnetic radiation, including visible light, shortening as the source of the light moves towards the observer. 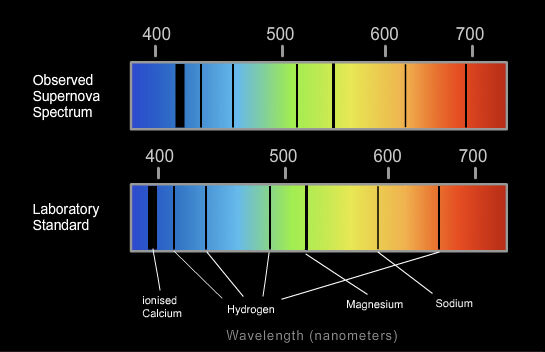 As the ship made the jump to hyperspace, the wavelength of the light from the stars would shift out of the visible spectrum into the X-ray range. 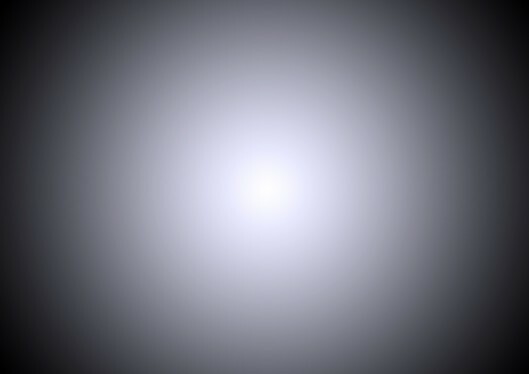 Meanwhile, Cosmic Background Radiation (CBR), which is thermal radiation that is spread fairly uniformly across the universe and is thought to be left over from the Big Bang, would shift into the visible spectrum, appearing to the crew as a central disc of bright light. What’s more, even a ship like the Millennium Falcon would require additional energy to overcome the pressure exerted from the intense X-rays from stars that would push the ship back and cause it to slow down. The students say the pressure exerted on the ship would be comparable to that felt at the bottom of the Pacific Ocean. However, if the ship in question took its time getting up to speeds in excess of the speed of light, there would be some interesting visual effects. Given how light and the color spectrum works, as a ship continued to speed up, the stars in front of the ship would experience blueshift (shifting towards the blue end of the spectrum), while those behind it would experience redshift (shifting towards the red end). 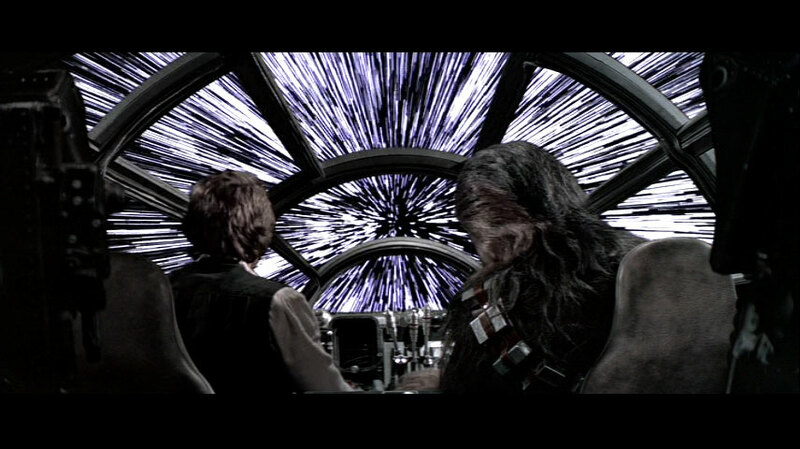 If the Millennium Falcon existed and really could travel that fast, sunglasses would certainly be advisable. On top of this, the ship would need something to protect the crew from harmful X-ray radiation. And as Dexter suggested, referring to Disney’s purchase of Lucasfilm for a cool $4.05 billion: “Disney should take the physical implications of such high speed travel into account in their forthcoming films.” I won’t be holding my breath on that one. Somehow, star lines look so much cooler than a mottled, bright disc in the background, don’t you think? Most likely, it wouldn’t look like much at all. Time and space involve higher dimensions, and its hard to say whether or not light itself can exist in that kind of medium. But then again, since its all about distortion, we could assume that it would look all wavy-like. Buuuuut, since our minds depend on temporal perception, our very experience of it would be all messed up and we’d likely not remember much… Oi! I just went cross-eyed! Quick, stop looking at your nose and look at a pin-up girl! I think seeing the Universe would be wonderful. I expect that my grandchildren and great grandchildren will have this exciting experience. This was a fun blog. It’s a likely possibility, assuming NASA isn’t just blowing smoke when they say the Alcubierre drive is possible. That’s the first time anybody’s outside of science fiction has ever admitting that faster-than-light travel could be possible, so I am definitely taking it seriously.